It’s been a busy month! I’ve been traveling coast to coast to see the latest trends in housing, interiors, and furniture. I get lots of emails about the differences in decorating a manufactured home vs a site built one, but truly there shouldn’t be any difference unless you are dealing with a manufactured home that has board and batten walls instead of tape and textured drywall. 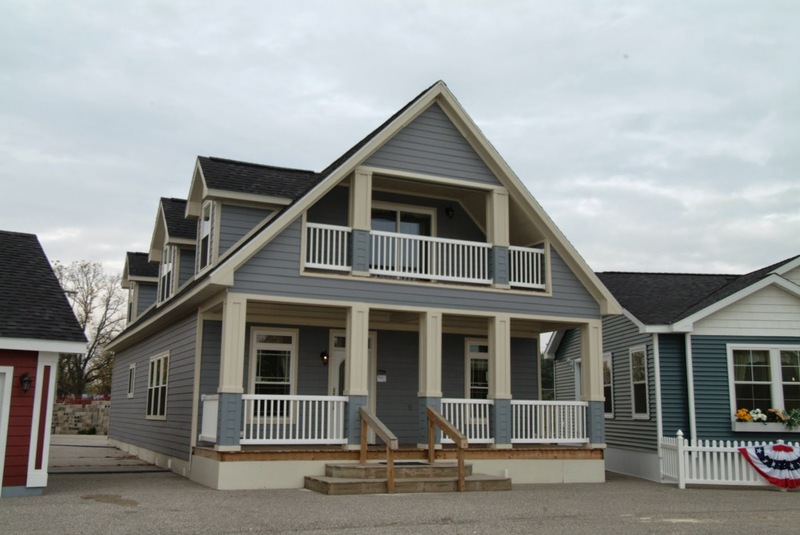 What’s amazing to me is how often manufactured housing drives or starts trends that then are used in site built homes. Due to the sheer volume of how many homes we build there is more of an opportunity to try out new things and see how they work. One of the biggest trends I am seeing in manufactured and site built housing is islands in the kitchens that continue to grow in size and importance. Using a different stain or color on the island is a great way to make it stand out and to really add some impact and storage to a space. 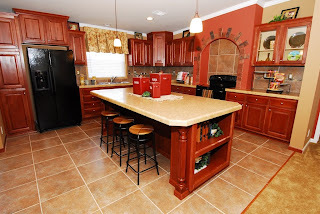 An area that manufactured housing has always offered more for your money is in the cabinets that are offered - many times you have twice as many cabinets in a manufactured home as what is offered in a comparable site builders home. Stainless appliances have been around for quite awhile now, but they can also break the budget of many homeowners. What has become very popular are black appliances - they are usually priced more reasonably than stainless, I find them easier to keep clean than white or bisque ones, and they really can make a statement in any size kitchen. Being a Lifestylist is all about understanding the lifestyle of a potential homeowner and what their needs are. Sharing what I see and learn is one of the favorite parts of what I do. I’m hoping to spend more time this year talking about upcoming trends and how they can fit into your lifestyle.